Welcome to the Lennox complaints department brought to you by HissingKitty. Experienced poor customer service? We make it easy to file a formal complaint against Lennox online. Simply use our free form and your feedback will be instantly forwarded for review. Need to contact the Lennox corporate office? We have the mailing address, phone number, and email address listed below. Purchased EL296UH07036B-05......model # 5913L07352 in Dec 2013...already blower failure in just over 4 yr old product. Part covered under warranty(thank you lennox) however labor not covered(Ok not happy we need heat)Guess what, you can't get part or even get reliable info as to when the part may arrive...local "Certified" service company less than helpful with info(Guess nobody heard of a tracking #? ?..I know when my parts are coming) Waiting days for info and then derided for calling so much? They are in the heat providing business , so I guess I"M unreasonable by asking perhaps for a timeline or something as to when I will be heating a large old farmhouse...Day seven no heat, using portable space heaters..not too safe and expensive...! 1 800 number accepting no responsibility for delay, offering excuses.."Ya know a twister (tornado} hit the parts supplier back in the summer" NO...I didn't know that cuz I don't live in the south! Perhaps Lennox should move anything related to the heating business to the northeast, where the business is, and, not vulnerable to twisters?? Every year no heat or no AC I have to contact for service and you try to sell me your garbage machine, I will put this comment online to help you advertise. I have a Lennox furnace installed Dec. 2010. I have had it cleaned 2 times in the 6 years I have owned it. I change the filter annually. I recently had a cleaning done and was told I required a new vent fan motor. The cost is 621.50 installed and it is not covered under my 10 year warranty do to not having the furnace serviced annually. If I have a 10 year warranty from the manufacture why am I paying for any parts. Please assist me with this it would be greatly appreciated. The installer is Limcan Walker from Whitby, Ontario, Canada. 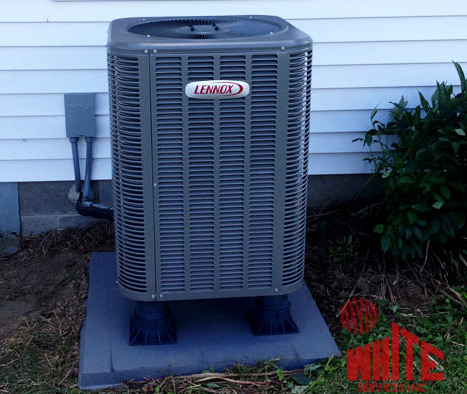 The first week in September of 2015 I had a brand new Lennox Heat pump installed. The whole unit both inside and out. I believe the invoice totaled somewhere between $10,000 and 11,000. That is a lot of money to spend on a system, and you would think that the system would work correctly for many years to come. Well welcome to my world! I have had technicians out on at least five different occasions. Some were due to the a/c not working and now the blower motor has to be replaced. Now I understand that mechanical things will break, whether thay are new or old. But it is my belief that in this case the unit was not installed properly and therefore the blower motor cratered! I don't complain very much and it takes a lot for me to get upset. I would normally call the company that installed the unit but I am not happy with them. I have known the owner since he was in his 20"s when his dad ran the business, so this is not somebody I have just met. He is a very nice man, however his management team and technicians are not working as a team. I had a supervisor out on Thursday November 12th in the afternoon to tell me the bad news about the Lennox blower motor. In his own words, "We will go back to the shop and see if we have a compatible motor, or we will order one and if I have to I will have it dropped shipped to my house and get you taken care of"! On Friday, November 13th, 2015, I did not receive one phone call from anyone about this matter. I called the 24hour line and the tech. said that he would called me right back. This was at 5:30pm. Five minutes later I received a phone call from my friend that had let the heating and cooling guys in on Thursday and he said that the tech had just called him and said that the motor would not be here until Tuesday. As of this moment 10:12am MST I have yet to hear from anyone since Thursday afternoon. Okay my fingers are getting tired, you get the idea! We bought a new Lennox air conditioner and furnace 3 yrs. ago Our compressor went out we need a new one. Yes it is under warranty but they charged us $300 to put a cold pack in it and they want $700 labor for the compresser. My original air conditioner lasted 25yrs. I am 72yrs old and don't have a $1000 to pay for labor what good is a warranty. This is not fair. The compressor should not of gone out this soon. Please help me out. Otherwise I have bad compressor and I will still be paying for it. For a comfortable living , I recommend Lennox products. We have taken heating units, Air conditioners from them and totally happy with the overall quality of it. It is one of the best buy in terms of AC units. High efficiency with two stage cooling unit. It is even economical, environmentally responsible home cooling system that I have come across.